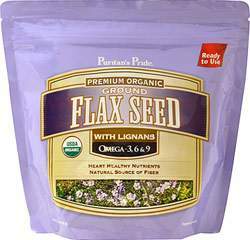 Our Flax Seeds powder also contains the powerhouse nutrients Oleic Acid (Omega-9) and Lignans — phytochemicals, which play a part in the well-being of the body. ** In addition, this product is a good source of fiber to help meet your nutritional requirements. Use every day to ensure an adequate intake.